Retractable pen with medium point, black & blue ink. YAY! 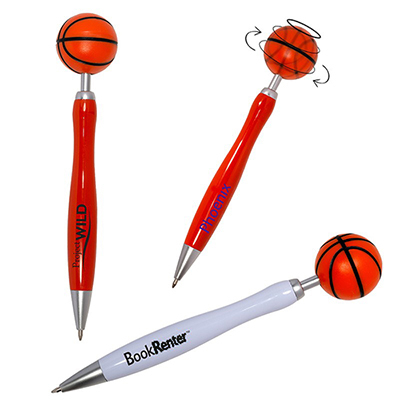 Finally a promotional gift idea that's mightier than a sword! 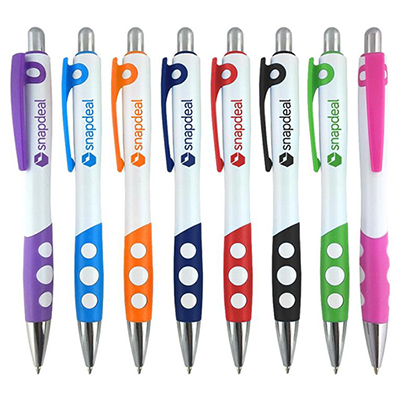 Get your brand name visible on that all-important writing device, with our delightful to the eye Ion Pens. 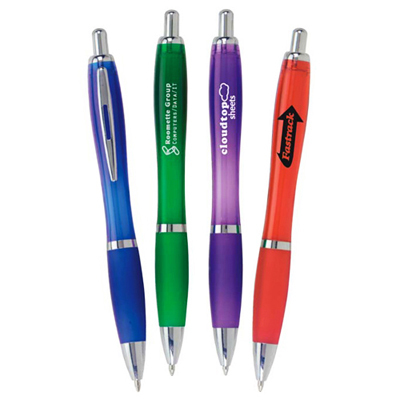 These Promotional Products come in a variety of cool colors and shades and we're giving you a great price for these mighty Promotional Items. SO what're you waiting for? Hurry and sign up for these Ion pens today! "A friend recommended me to your site. 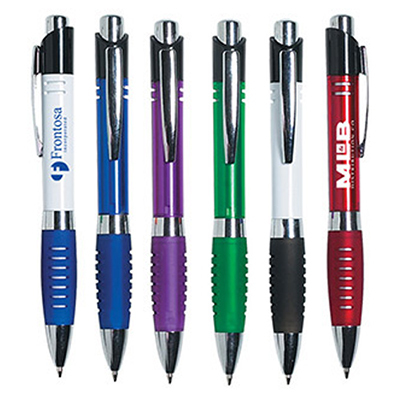 I just ordered these pens in the 'Translucent Purple' color. " Hourglass shaped barrel built for comfort!